If you haven’t watched the latest season of The Grand Tour on Amazon Prime, we highly suggest that you get to it. 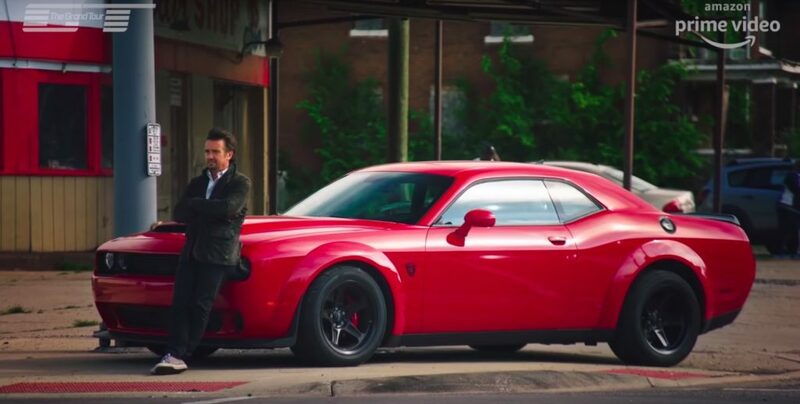 In the first episode of season three, the guys head to Detroit to drive three American muscle cars with a thirst for high octane gasoline, and an appetite for lots and lots of rubber. If you, like us, have enjoyed all of the antics of Top Gear and The Grand Tour over the years, you will not be disappointed. 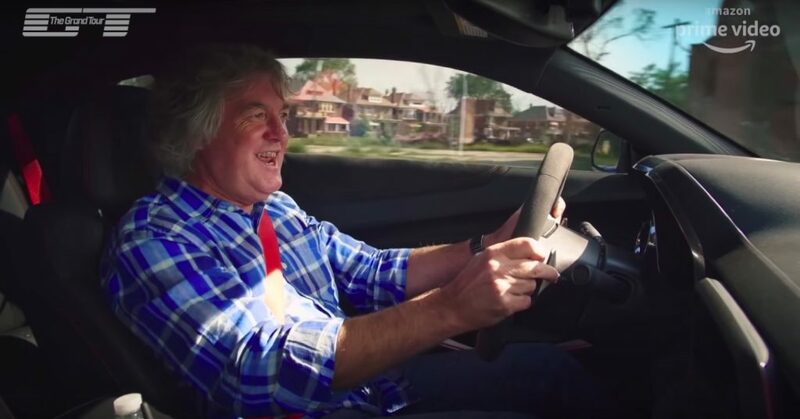 As we mentioned, in the first episode of a brand-new season of The Grand Tour, Jeremy Clarkson, Richard Hammond, and James May make a pilgrimage to Detroit to drive three highly tuned muscle cars. 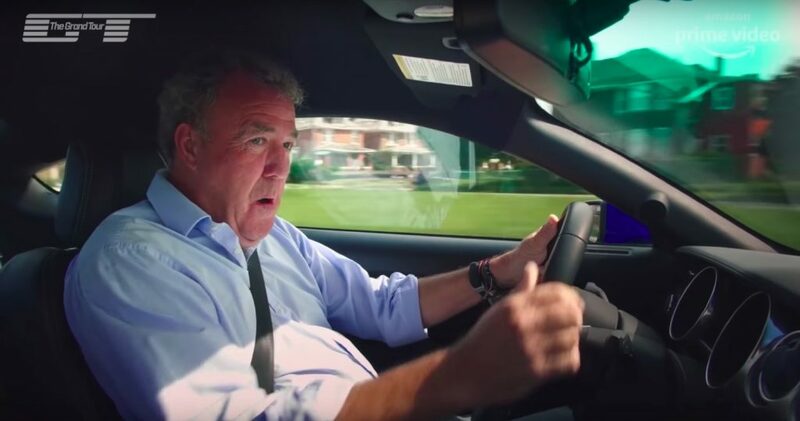 Clarkson in a Ford Mustang RTR Spec 3, Hammond in a Dodge Challenger SRT Demon, and May in a Hennessey Exorcist Camaro. ‘Captain Slow’ is far from slow in the Camaro, Clarkson shows his skills behind the wheel of the RTR, and Hammond, well, has some trouble with the Demon. As the three haven’t visited or lived through the current rebirth of the city’s downtown area and adjacent neighborhoods, the British hosts were predictably horrified to discover Detroit in its current state. But that doesn’t stop the hosts from bringing some noisy life back to the still-neglected areas of the city – like the massive and blighted Packard Plant. The trio establishes Detroit as a playground for people who’d rather talk about (and use) superchargers than spinach. People who’d rather burn rubber than… other things. People who connect with the true history of Detroit and everything that it represents. We are excited for all that the third season of The Grand Tour has to offer, and we hope that you are too. Watch this epic drag race and then head over to Amazon Prime to watch the full episode. For more Ford coverage, be sure to subscribe to Ford Authority to have the latest news delivered directly to your inbox daily. Or, be like Hammond and wait around while others enjoy themselves. Your Choice.